It's an entertainment dilemma for D.C. area teens. You’re too old to go to Chuck-e-Cheese. But Dave’n Busters is too expensive. What's a teen to do? Now they can go to LOL Stations in Waldorf, a new entertainment complex to celebrate and have fun. Inside the 16,000-square-foot venue, is the only lasertag arena in Charles County, a rock climbing wall, a playground, kiddie rides, and much more. There’s even a, “Daddy’s Corner,” for dads who want to spend time with their kids and watch a football game. That was the goal Cayard and her sister, Regina Bethea, had in mind when they created the concept. “Growing up in this generation, you see families are not together. Back then you grew up with board games. Now all you see is cell phones and TV’s in households. So here we like to instill family fun with physical activity, and this place is full of both,” Cayard said. 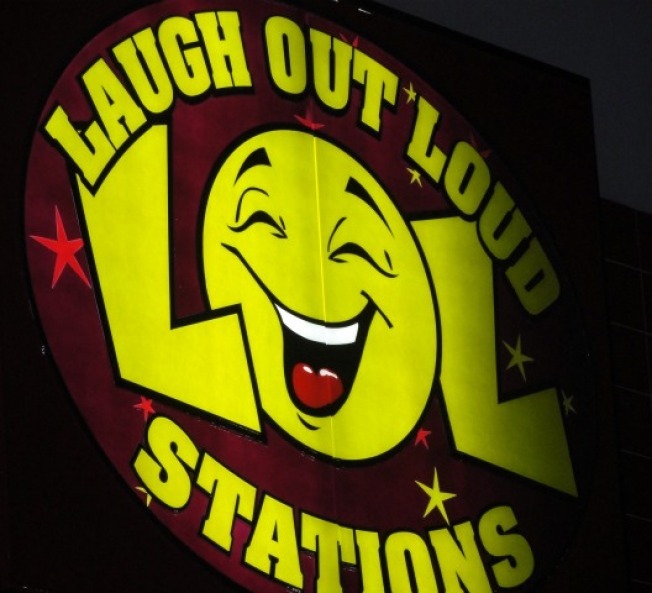 Since LOL stations has been a success in Waldorf, the sisters plan to open another in Greenbelt, Md., later in January. It will be located in the Beltway Mall Shopping Center, taking the place of the old Jeepers.And Jeepers was one of these types of places, too, except it was for young kids. Cayard said the Greenbelt location will be geared to the younger age group, and will focus on a, “southern-style,” concession stand. One of the most popular events at LOL stations is the teen nights. Every other Saturday, LOL stations invite teens from all over the area, to enjoy lastertag and music, from 9:30pm to 1am. According to Cayard, the last teen night had about 400 teens, with the line leading out the door of the venue. Parents do not need to worry as Charles County Police, and LOL stations security ensure safety in the venue at all times. One reason why the teen nights have become so popular may be because WKYS 93.9’s personality Angie Ange hosts the event. Ange said that she knew the owners growing up and wanted to give back to the area. “LOL stations is a really neat place, and it gives teenagers in the Waldorf area something to do,” said Ange. “And for all the teens that enjoy the music 93.9 plays, then they should come out and have fun with me on teen nights, because it’s a safe environment and they would have a blast,” Ange finished. LOL stations just surpassed its one year anniversary on December 25th.